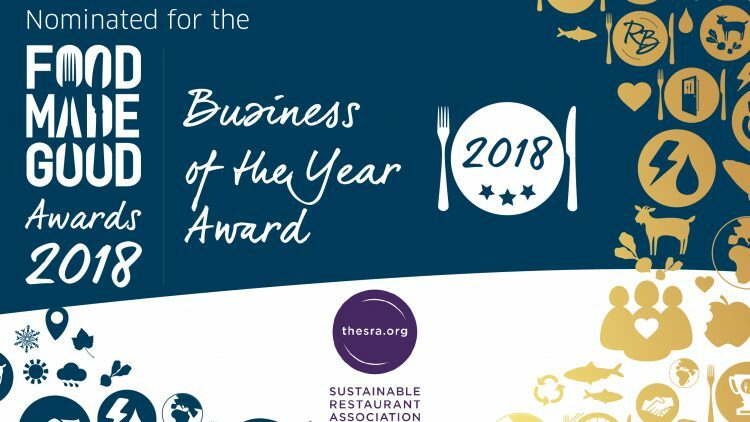 We have been shortlisted for the Food Made Good Business of the Year award, published by the Sustainable Restaurant Association (SRA). The company is joined by 20 other businesses including ten independent restaurants, a hotel, two pubs, half a dozen universities, as well as a cookery school. The winner, the business to have achieved the highest score in the Sustainable Restaurant’s Association’s industry leading sustainability rating, will be announced at the Food Made Good Awards ceremony on 1 October at Fest Camden. The SRA’s rating assesses businesses across all aspects of their policies and operations along with their influence across ten key themes under the headings of Sourcing, Environment and Society. Together these define a ‘good’ restaurant or foodservice business. Wendy Bartlett, founder, bartlett mitchell added: “We are incredibly proud to be shortlisted and are very much looking forward to the event in October. A full list of categories and the shortlisted restaurants are available below and here.